238 dots of Extra Fine Watercolor span four sheets of watercolor paper, so you can try out almost any color in the line without buying a whole tube of paint. 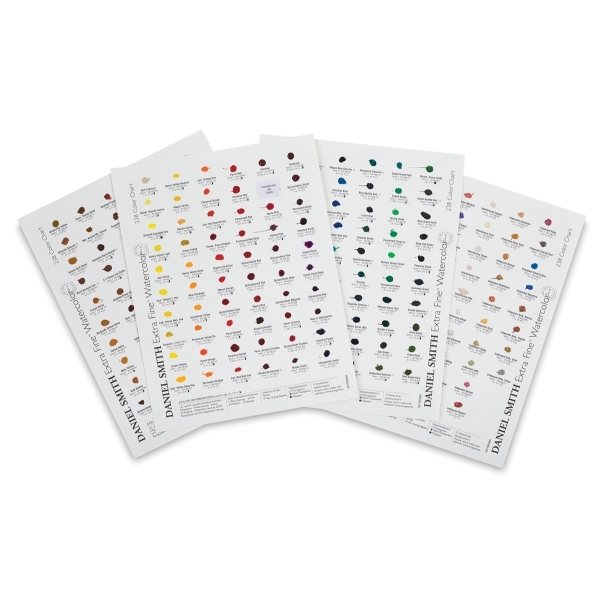 With the touch of a wet brush, the dried dots of pure Daniel Smith Watercolor become brilliant, brushable watercolor. Each dot is labeled with essential color info (name, series, lightfastness, etc.) for easy reference.